Preparation - Equipping You to share the gospel and save unborn lives.  Sidewalk ministry can be incredibly effective in saving the lives of the unborn, but you must be prepared. In this training section, we’ll equip you with helpful resources, protocol, safety recommendations for children, and other helpful training for you day at the abortion center. If this is your first time at an abortion center, it may be wise for you to simply observe. It is often best just to observe sidewalk counselors (if there is already a mission presence at the abortion center). Once you are more comfortable, pray for God to lead you to an area to minister. Dear brother/sister in Christ, it is much more “glamorous” to post about going to an abortion center than it is to actually go. You will likely be cursed and yelled at, and you will likely experience some form of discouragement even from within the body of Christ. It is SO important to pray for God’s help with this Gospel outreach. It is such a tangible evil that you will encounter, as you literally see people participate in murder with nothing more than a wall between you. Expect that the enemy of your soul does not want you to go to plead for babies’ lives with the gospel of Christ, so you likely will encounter resistance in one form or another. Children should never be in the street or cross a street or driveway unaccompanied. Set guidelines for your children on rules at the abortion center. Children on the sidewalks should be behaved and respectful. Take a disruptive child to your vehicle. This lessens the distractions. Your child will need to take a break! Let them! Consider having your child make a sign on poster board. Cut one piece in half so that it’s easier for them to hold. Don’t worry about how it looks! It’s better when we adults let them create those signs on their own! Have a handy resource guide in your purse or whatever you use to carry your materials (fanny pack) so you can quickly access and point moms to help. Check out various sellers of pro-life literature and consider purchasing some material to use with mothers, as well as a little 12 weeks old pre-born baby models to show to someone you are counseling. This small purchase can mean a lot! HERE is a great site. Connect with any pro-lifers you have met and set a date/time for ministry. Pray about making this a long term ministry, as well as a FAMILY ministry….dads and children are needed at the abortion centers, as well! Once you’ve established that you will continue ministering at your local clinic, set the dates that you will go each month (once a week, twice a month, etc.) and mark them down, so that you are committed to those days. Talk to your children on their age level about abortion. Be as specific as you feel that they can handle for their ages. Explain why you are going and why people are needed to help. Find out abortion center hours of operation and plan to be there a half hour before opening to best intercept arriving women. Getting connections and “inside information” on the abortion center is definitely a plus! This website has some great info and will help you locate your local abortion center. Search their website for information as to the types of abortions they do and up to what gestational age. See what the women you will minister to will see. The next step is to go out to the abortion center on a Saturday morning, which is usually the busiest day for abortions. While out there, ask questions of those who minister there regularly. It is your best way to get the information you need for ministry!